Sometimes, one mistake is all it takes to get sent down the wrong path. However, for the trainees of Conviction Kitchen, it's time to get back on track. 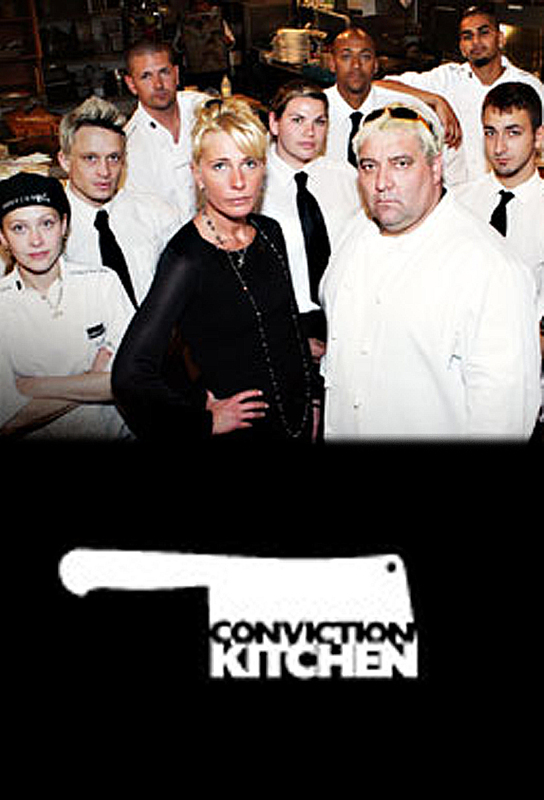 Conviction Kitchen is a groundbreaking, inspirational new program for Seven in 2011, offering twelve convicted criminals the opportunity to redeem themselves and reclaim their lives. The trainees of Conviction Kitchen have not only hurt others through their past actions but also themselves, shattering the confidence of their family and the greater society. And while many have served their time, an enduring, unspoken stigma still remains – particularly when seeking legitimate work. Hailing from a variety of diverse backgrounds, many of the Conviction Kitchen trainees have experienced homelessness, chronic unemployment and drug abuse. Their crimes include fraud, stealing, dangerous driving and drug offences. Helmed by renowned chef Ian Curley, the series follows the redemptive journey of the trainees as they are taught the skills to man a high-end a la carte restaurant. Six trainees will join Ian behind-the-scenes in the kitchen while six wait front-of-house under the watchful eye of restaurant manager Lisa Parker. Track and react with millions of Conviction Kitchen (Australia) fans just like you on TV Time.